Realme had quite a successful 2018 year with the launch of multiple smartphones catered to the budget segment in India, which has become extremely competitive. The brand Realme, which had been launched as a sub-brand of OPPO with the launch of the Realme 1 smartphone. The company had later became independent and had released three new budget to mid-range smartphones – the Realme 2, Realme 2 Pro, Realme C1 and the Realme U1, which were also priced aggressively. All these smartphones have had a decent market share, and the brand has become another competitor in the already aggressive mid-range smartphones segment in India. It’s 2019, and the company had launched its successor to the Realme 2 and had added another new mid-range smartphone to its products-portfolio – the Realme 3 smartphone. The new mid-range smartphone from Realme features a 6.2-inch HD+ 19:9 display that features a dewdrop notch to behold the front-facing camera. 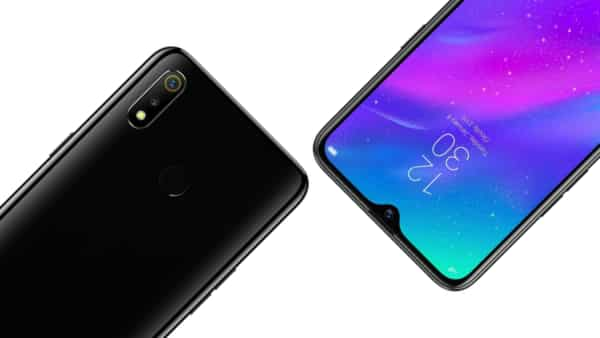 Unlike the diamond cut design featured in early Realme phones, the Realme 3 has adapted to gradient colors with a polycarbonate finish and uni-body design. The Realme 3 is powered by a 12nm MediaTek Helio P70 SoC, which is the same octa-core processor that had been featured in the earlier released Realme U1 smartphone — followed by two storage variants – 3GB/4GB of RAM along with 32/64GB of onboard storage respectively. The Realme 3 also offers microSD expansion as well (up to 256GB). As for the cameras, the Realme 3 features conventional dual cameras (13MP+2MP) on the rear along with a 13MP selfie shooter. The cameras come with noticeable features that include Night shots optimization, AI beautification, AI Scene detection, portrait mode and more. A decent 4230mAh battery powers the Realme 3 that runs on the new ColorOS 6.0, which is based on the latest Android 9.0 Pie. In addition, the Realme 3 features an AI app management feature as well, which is supposed to improve battery performance. On the connectivity front, the device comes with 3.5mm headphone jack, micro USB port for charging and lastly, the Realme 3 features fingerprint sensor on the back for authentication. The Realme 3 will be available for sale exclusively on Flipkart with the first sale on March 12th, and as for the pricing, the Realme 3 (3GB+32GB) is priced at Rs 8,999, and the larger variant Realme 3 (4GB+64GB) is priced at Rs 10,999. As stated earlier, the Realme 3 is available in three color variants – Dynamic Black, Gradient Blue, and Black.